The Obvious: Coming on the heels of Wednesday’s unveiling that former University of North Carolina chancellor, Dr. Carol Lynn Folt (photo above), will become the University of Southern California’s 12th president, USC head football coach Clay Helton and first-year offensive coordinator Graham Harrell will have their own unveiling, consisting of Harrell’s highly anticipated version of the Air Raid offense on Saturday morning (10 a.m.) on Howard Jones/Brian Kennedy Field. Might the first spring scrimmage, open to the public, also bring out the Trojans’ new academic leader? The Not So Obvious: The announcement of Dr. Folt, who was the first woman chancellor at UNC and will be the first woman to lead USC, is accompanied by a simple USC football fan’s question: What is Dr. Folt’s experience in football and athletics in general? As far as Folt’s football experience, she gave the final approval in selecting College Football Hall of Fame coach Mack Brown’s return to North Carolina as 2019 head football coach. Yes, the same coach Mack Brown whose Texas Longhorns defeated Pete Carroll’s Trojans in perhaps the greatest national championship game ever played. In fact, when Dr. Folt introduced Brown to the Tar Heels’ media, she told her new coach she was also presenting him with his first game ball, and then they both hugged. Dr. Folt, who was very energetic and optimistic in Wednesday’s USC introductory press conference, is no stranger to basketball and the roundball’s importance along Tobacco Road in ACC country. She had working under her College Basketball Hall of Fame men’s coach Roy Williams. In other words, she knows athletic greatness and is said to be a major fan of athletics, and UNC traditionally takes its athletics very seriously. 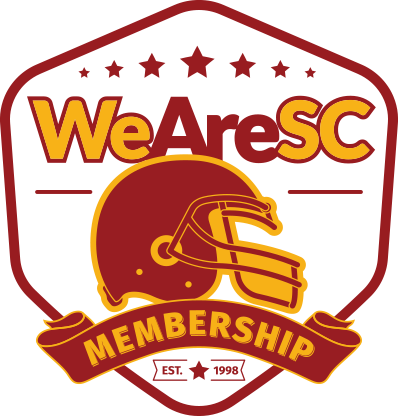 The O/NSO says it will understandably take her some time to acclimate to all the moving good and not-so-good parts of the current USC athletic situation and department, but once she does, things could get interesting. The Obvious: The chairman of the USC Board of Trustees, Rick Caruso, made the official announcement of the selection of Dr. Carol Lynn Folt, 68, as USC’s next president. The Not So Obvious: As part of Caruso’s historic announcement, he wrote in the BOT announcement, “Your input became our mandate – to find an individual with impeccable moral character and integrity, an intense dedication to transparent and transformative leadership, strong academic credentials, experience managing a large, complex organization including health sciences, commitment to the student experience and shared governance, appreciation for the arts and humanities, recognition of USC’s role as a civic and community steward, and a track record of leading strong, successful athletics programs.” It’s that last line, “a track record of leading strong, successful athletics programs,” that is of major interest to USC athletic supporters – not to mention USC head athletic director Lynn Swann and head football coach Clay Helton who were in attendance at Folt’s introductory press conference. The Obvious: The University of North Carolina went through seven years of battling NCAA investigations, allegations, and the Infraction Committee looked into its athletic department, and in 2017, the Tar Heels received no penalties in what many feel was one of the biggest academic scandals in college history. It should be noted that the allegations occurred prior to Dr. Folt’s arrival at UNC. The Not So Obvious: The Trojans know a lot about the NCAA Infractions Committee. 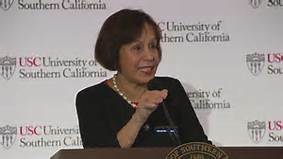 With the Trojans having been in the spotlight last week for admissions and past NCAA sanctions, it should be noted that Dr. Folt, who will officially begin her Trojan tenure on July 1, did get North Carolina through the NCAA and won against collegiate sports governing body. She is no wallflower when it comes to the NCAA and other controversial issues. The Obvious: There has been some speculation that Trojans’ offensive line coach Tim Drevno would have to learn a whole new blocking system with Graham Harrell’s version of the Air Raid offense. The Obvious: Some were concerned that there might be a tough adjustment in learning a new offensive system. The Obvious: One of the key questions regarding the offense line was whether it would be hard for the Trojans’ offensive linemen to pick up the new schemes. The Obvious: Graham Harrell has revealed that the Trojans have only four running plays. The Obvious: A huge point of emphasis this spring is making sure the Trojans’ centers make accurate snaps back to the quarterback, something that was erratic last season. The Obvious: Last week, a number of Trojan players left the area to take advantage of spring vacation. The Obvious: Keary Colbert is the Trojans’ first-year wide receivers coach. The Obvious: Like the rest of his receiving unit, Michael Pittman sees some similarities and differences between last season and this spring’s new offense. 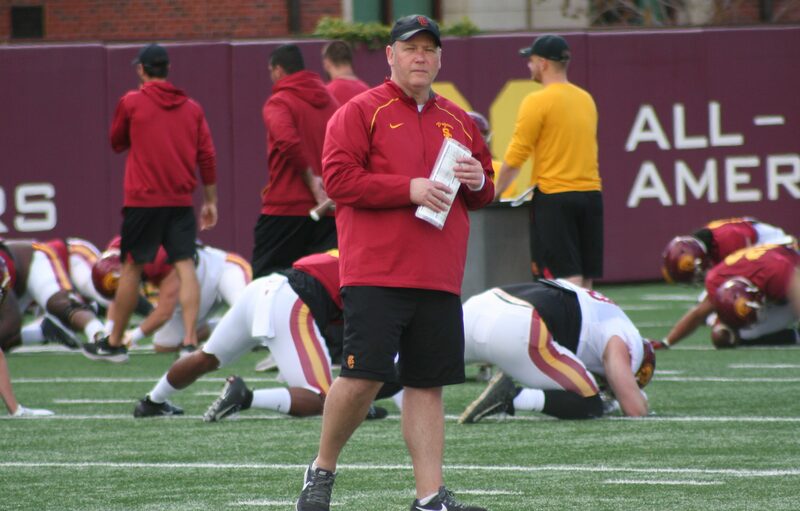 The Obvious: Clancy Pendergast is the Trojans defensive coordinator. The Obvious: So what defensively does Clancy Pendergast hope to see on Saturday’s first scrimmage of spring? The Obvious: On Wednesday, the Trojans held their annual Pro Day on Loker Field, an exercise that showcases those former cardinal and gold players who hoped to increase their draft or free agent status in front of NFL coaches and scouts. The Obvious: USC band director Dr. Arthur C. Bartner will conclude his illustrious band directing career this coming 2019 season. The Not So Obvious: Dr. Bartner attended spring practice this week with a smile on his face. Of course, that smile was made bigger with the fact the band section in the peristyle end of the Coliseum has a new name: The Dr. Frank C. Blair & Ruth C. Blair Family Band Section. The Blair family has “generously” named the Trojan Marching Band section at the Coliseum. 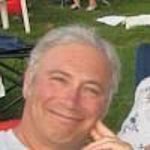 The backstory is that Frank, who loved music, is no longer alive, but his wife, Ruth, and the balance of the family thought it would be great to honor Frank’s memory and support the Coli renovation by naming the band section. The Obvious: The Coliseum continues its renovation, working quickly to be ready for the 2019 Trojans and Rams season. The Not So Obvious: You will be happy to know that there will no longer be “bench seating” in the Coli, and all seats being put in will have seat backs and cup holders. Yes, even in the peristyle end. The Obvious: Assistant athletic director-recruiting and player personnel Eric Ziskin is leaving his position at USC. The Not So Obvious: Ziskin says he wants to spend more time with his family and pursue a different line of work. 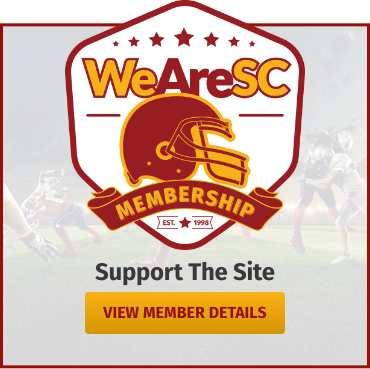 Eric has a long history of participating in Trojans’ football, having spent 11 total years, which included four years in his recruiting position that encompassed all facets of cardinal and gold recruiting. No replacement has been named, but Clay Helton says he has some candidates in mind and hopes to have a replacement in the coming weeks. Helton says that filling Ziskin’s position is as important as filling an offensive or defensive coordinator’s position. The Obvious: The Trojans are known to have one of the smallest recruiting staffs compared to other national powerhouse contenders for the national championship. The Obvious: The Los Angeles Rams announced they have agreed to terms for a two-year deal with former Trojans and Green Bay Packers’ linebacker Clay Matthews who has been with the Packers since 2009. The Not So Obvious: Matthews, one of the most famous walk-on success stories in USC football history, was a six-time Pro Bowl outside linebacker with the Packers. Matthews’ return comes as no shocker as Clay is from Agoura High in the San Fernando Valley. The Obvious: From all accounts, it appears that the Trojans are leaving KNPN (710-AM) and will have a new radio home in time for the 2019 season. The Not So Obvious: The word is that one likely landing spot for USC football broadcasts could be KABC (790-AM). It’s an interesting move away from the Los Angeles ESPN radio affiliate, but then again with USC basketball being bumped to other stations for conflicts, it’s a business move. However, whether KABC can provide the type of all-sports coverage like KNPN provided could be problematic. The Obvious: And finally, Ed Orgeron is a former interim head coach for the Trojans and is the current head coach of the LSU Tigers of the SEC. The Not So Obvious: It’s being reported that Coach “O” is up for a two-year extension to 2023 and a $500,000 pay raise to $4 million annually, plus incentives. This is a proposal drafted by the LSU’s athletic department. Need the O/NSO comment?